Connecting With Clients in a City Under Water. Speaking “Houstonese”. Your first contact should be a welfare check on your clients’ wellbeing, not a search for a paycheck. The truth is I am writing this in response to a LinkedIn Connection from Georgia who messaged me asking me to help her find paying work here, in Houston, in light of the storm. I still had five feet of water surrounding my house and was stranded. Power came and went. Rescues of my own neighbors and friends were being conducted by people who came in from all over the country. The death toll was slowly rising with the water. I was stunned at her insensitivity and ignorance. Then I realized I can only do something about the latter. Start with What You Don’t Know. It’s about what people are facing. You have never lost your house to a flood. You have never been rescued by a helicopter from your roof or been evacuated. You have never seen your house or office with feet of water in it and you have to clear it out now before more damage sets in. You have never had your company close either indefinitely or for over a week due to something your boss has no power over. The people you are calling are living this reality. Businesses are all codependent. One may be up and ready to start work but stopped by raw materials or services they need not being accessible. Transportation will be hindered. Banks and other essential programs may be off line. Infrastructure may be damaged. There is a chorus of “No”, “You can’t” and “We don’t know when.” that we in Houston are hearing every day now. When a business can open, they have to count on their employees. And they have to concern themselves with how these people fared from the flood. Can they get there? Did they lose their car in the flood? Are the streets on their route flooded? Can they get gas? Can they perform their tasks at work? Are they struggling emotionally in the turmoil? Are they preoccupied with losses at home? In Houston today, you cannot find anyone unscathed from Hurricane Harvey so Houstonians have little else on their minds. That is what is on the minds of the people you contact. So read up on that kind of experience before you contact them. We are all speaking a new language here and you should learn it before contacting your Houston clients. You start by asking whomever answers the phone with “How are you and your family?” And then you listen. Acknowledge tragedies with sympathy and losses with encouragement and support. Ask how their company is faring. Don’t even try to compete with your own close calls or extended comparison of an event unless you live in Houston or surrounding communities. Don’t spend too much time on the phone. We all have five times the responsibilities today that we had two weeks ago. Don’t ask what you can do. When tour clients answer the questions above, you will learn what they need and what you can do. Being familiar with their services means you are a step ahead and can see the gaps that you can fill. Now for the sticky part. 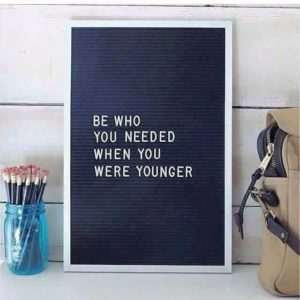 Offer help that is free. Volunteer your services. If these words sent a shockwave through you, you don’t speak “Houstonese”. I am practicing what I preach. I am interpreting for free all client contact being made by my client law firms who are reaching out to their Non English speaking clients. Show Business Kindness. If you have a standing contract with a Houston company then offer to delay invoicing, or lower your fees for a period of time. If you have contract labor in Houston, make advance or early payments on their services. If you are a national agency please consider the Houston labor pool first. We are ready to work and as survivors we are going to give you peak performance. Houston will come back stronger, more financially dominant and vibrant. We will be a prominent source of work and top paying jobs. You will be remembered for what you do and how you communicate now. Words From the Eye of Hurricane Harvey. 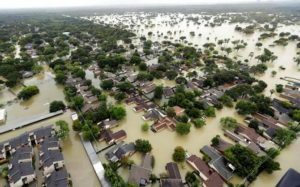 As I write this, at home in Houston, Texas in the middle of Hurricane Harvey, I am trapped at home surrounded by feet of water encircling my house. But I am safe, the house is prepared, no water is getting in and I have power. So I will write and tell you the interesting phrases and terminology I hear throughout this five day event. You may be interpreting it for other media, or you may be hunting for expressive terms for your own creative writing, forensic writs and communications or you may be a terminologist. Full disclosure: some tongue in cheek humor has found its way into my writing. Rain event– I heard this a lot the first day. And yes, Harvey started out as that but then the rain became a flood and then spawned many foods. A “Rain Event” is used in a comparative sense to describe a weather storm event in which rain is predominant. The comparison is to the other damaging elements such as high wind, tornados, storm surge, and flooding. Lengthy wait. Waiting for drinking water, gas for your car, waiting on a freeway for the water to go down at your exit or in line at grocery stores finally open after three days in a hurricane is subjective. This term was used to describe waiting in line to check out at a grocery store as 2 hours by one person and 5 hours by another. People called it a lengthy wait when they waited -overnight- on a high point of a freeway before they could get off the freeway. Mandatory evacuation. You have to leave. City officials and law enforcement get involved. Tornado Watch A watch is issued when conditions are favorable, for example, either for a severe thunderstorm or tornadoes. Tornado Warning Warnings mean that severe weather is imminent. It is on you now. Cabin Fever This is restlessness because you can’t leave a location your home or a shelter. It can lead to dysfunctional or really useful productive behavior. It also leads to being Slap Happy and writing great comedy and inventive games. Another relative term is Stir Crazy. Shelter In Place This means stay where you are. I think this term is problematic because you could be under an overpass or in your car on a highway in a dangerous storm. So I highlight the emphasis on Shelter- you need to be sheltered by your location and don’t be wandering around. Stay Safe. This is the universal pleasantry uttered by people who are not themselves facing any form of risk, danger or inconvenience. Impassable Roads. Your car will not and should not get through. They really need to replace this word with more of an impacting visual term: Totally Blocked or Walled Off. The reason I say this is we had several people drive into areas declared Impassable and they drowned in their cars. Trapped. I have learned that you can be trapped in a bad place or in a good place. So the word is grounded on the location being safe and not the lack of freedom or confinement. I feel lucky to be “trapped” in a flood water free home with power compared to being trapped in rising water in a car or in your house. To Underestimate. 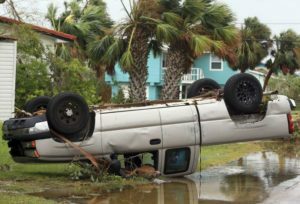 This is constantly being used to describe the supposed thinking of people who drove into high water and didn’t survive. It is also being stated by people who got stuck on the flooded roads when a reporter catches up with them. My point is this, the root of the word is estimate, which should involve appreciable thinking. In so many ways this seems doubtful. I have worked with some of the best attorneys and Judges in the nation. And I love watching them work. Sometimes I am lucky enough when on subsequent cases, they reflect back on a trial or a proceeding and they explain to me what they were doing and why. These lessons can be applied to any interaction, conversation or discussion you have . Knowing the answer before you ask the question gives you the opportunity to observe and learn about the person you are questioning and allows you to stay on top of the conversation. People are more inclined to listen to you and believe you when you are calm and collected. 3. Integrating the rules into your standard routine. 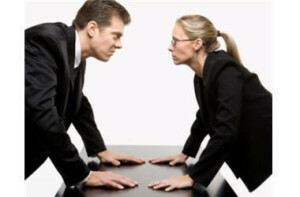 The rules governing a Q&A are inherently agreed upon when opposing sides are brought together. Therefore, no matter how much disagreement there is, basing your statements on that point of agreement maintains a reminder of a potential agreement on more contentious points. Never be impatient with a long-winded client or fact witness. If you wait long enough you will hear what you need to hear. Take the time to word critical questions and run them by someone before you put them on the record and the respondent hears them. Having to restate or deflect objections is a sloppy dance that shows you as unprepared and out of control. 5. Balance client representation with judicial ethics. Filter all the needs and requests of a client through the ethical rules that govern your work. It is only a matter of time before those rules will be the judge of your performance. Best Negotiating Strategies from Women Who Shaped America. Ann Legendre Armstrong: First woman US Ambassador to the Court of St. James. Dr. Antonia Novello: First woman and first Hispanic American to serve as Surgeon General. “I use the element of surprise as my best negotiating strategy – knowing the pros and cons of an issue before I even enter the room”. Jackie Joyner-Kersee: Track and Field Olympian and Sports Illustrated Woman Athlete of the 20th Century. Geraldine Ferraro: First woman to win the nomination for Vice President of a major political party. Sandra Day O Connor: First woman Justice appointed to the Supreme Court. Condoleezza Rice: First African American woman to serve as National Security Advisor. Skip the stressful “offer “ of insulting rates and oppressive terms . Introduce yourself with you rates and terms backed up with your certification and training. If being offered an assignment , ask for acknowledgement and acceptance in writing of your rates and terms Add a dose of manners by offering to answer any questions they may have. Stress Buster : Develop a couple of templates of polite responses for when unacceptably low rates are offered. Save them in your drafts and you will avoid the irritation felt when writing a new one every time. 2 Skip the embarrassment of being taken advantage of. Research the market and match your experience and qualifications for equal ranking of pay. Skip the stress of hearing that the prospective client that wants you won’t pay what you’re worth. Look up their website and see how they promote themselves to the market If they claim to have the lowest rates then how do you think they make a profit. Inquire from colleagues on professional forums, on both Linked In and Face Book , what kind of an experience anyone has had with said a client. Share your experience in return. Skip the stress of a job with terminology and procedures that stump you. Don’t accept an assignment you have never done before until you have observed the interpreted proceeding in person or reviewed a few source and target translations of the same subject matter. Do this until you are comfortable that you can perform quality work. Skip the stress of hassles caused by a client uneducated in your work. Look for the red flags waving: when translator and interpreter is used interchangeably, when your availability is asked without identification of the proceeding, whenever a translation has no word count or deadline… And my favorite when you are asked to be at a location over 100 miles away in a half an hour. Decide the value of your time required in “babysitting” this kind of client. Skip the embarrassment of being labeled as unqualified and unprofessional. Skip the stress of payment disputes. Send your rates and terms ( learn what these are) in writing and ask for acknowledgement and acceptance in writing. Add a dose of manners by offering to answer any questions they may have. Assess the client agency by their reputation among their employees and contractors. Listen and weigh both the accolades and the complaints. Complaints reflect poor management and instability and that leads to non-payment of freelancer’s invoices . Your question is hanging in midair and the witness, in the sworn proceeding is looking at you, gape mouthed. Was the question clear? Or maybe the witness is deciding what part of it to answer. You could be facing a cycle of delays and frustration. This occurs whether the proceeding is interpreted or not. 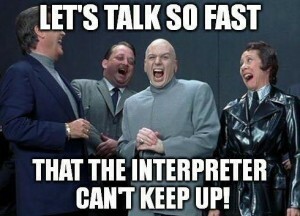 But it does seem that as the interpreter, I can see the disconnect happen before the questioning attorney catches on. The fault lies in the broad wording of the question that allows for a flexibility in responsiveness. Add a nervous, reluctant, or even impatient witness and you have Q&A chaos. I’ve even got a name for it: the “Who’s On First” scenario after the famous Abbott and Costello comedy sketch. It’s no fun for any of us to go down that bumpy road. Sometimes the lawyers get irritated at each other as the objection, “Non Responsive” triggers the objection: “Asked and Answered” over and over. Other times I’ve seen the questioning attorney instruct that the question be certified because the opposing counsel will refuse to allow the question to be repeated after several attempts. Fact witnesses and Pro Se witnesses, who are unfamiliar with the questioning process, can quickly stymie whatever progress has been made when the “Who’s On First” routine starts up. In such cases that there is an interpreter, professional interpreters know to simply be patient, show no reaction and continue interpreting accurately and completely. These situations are not a challenge to an interpreter. In 1999, Claims Magazine, the national publication of the Insurance industry, published my article titled, What do You Mean by That? Specific Terms in a Q&A Produce Direct Responses. You can find the article on my website here http://www.linguisticworld.com/books_and_articles.html. At the date of this blog post it is a full 17 years later and I still see many of these examples of questions that sink. The most common culprit is the compound question. This is a question that contains two or more questions being asked. Often it offers alternative responses much like a multiple choice question. This kind of question is standard for casual conversation but in a Q&A setting, where the person is under oath, a single yes or no to such a question encompasses more factors. Another form is when the subject action is maintained but extra dates, times and persons are added to the single event. Unfortunately, even a seemingly simple question can be compound. The Yes or No to “Do you know if the light was red for the other driver?” could be responsive to the light being red or not, or it could be responsive to the witness knowing or not. Several clients of mine offer a follow up question to that one with a “No, you don’t know or no, the light wasn’t red?” And surprisingly, the response is the complete answer that contains the question. The solution is to break down the question as soon as you see the witness is not able to transition to compound questions smoothly. Limit high register legalese terminology that will trigger confusion. The result will be more concise responses and a well-connected communication. Legal interpreters are taught to keep an emotional distance with the witness to guarantee the witness complete access to the judicial process, as if they spoke fluent English. It also benefits the interpreter to have a sole focus on the linguistic components of the statement while monitoring the content. Certified interpreters are bound by our Code of Professional Responsibility to not show any emotion or bias in reaction to the statements we are interpreting. In order to do this we have to remain oblivious to the base problem between the parties. Sometimes maintaining distance can protect us too. By virtue of being a party to a lawsuit, some witnesses are facing a very difficult phase of their lives. No matter if they are the plaintiff or the defendant. The setting exposes the interpreter to a witness whose perception of the difficulty can range anywhere from an inconvenience to a life changing crisis. For example, in a civil matter where a business agreement was not honored, the party will suffer compromise of the investment of time and money. A personal injury affects one party’s physical and emotional life yet may affect the financial life of the other. Family law and criminal cases easily display a strain on either party and often it is on both parties. The interpreter can’t predict aggressive questioning or know how a witness will react to a probing Q&A process. 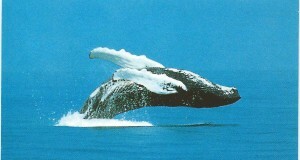 Establishing the distance at the start of the proceeding is a good safeguard. In my introductory spiel I include that I have nothing to do with the case and that my work is regulated by state law. Not making eye contact reinforces the distance. Most outbursts in a courtroom are quickly diffused by the Judge. But that is not the case in other discovery proceedings. I’ve had a 6’7 Stevedore pick me up by my shoulders and yell in my face, angry at the pointed question I very accurately interpreted. I’ve had several witnesses dissolve into tears in my lap when reminded of the loss of a loved one. I’ve seen witnesses curse and yell at everyone in the room. I’ve seen a witness knock over the videographer’s camera. One angry witness hit the court reporter’s steno machine to stop writing what he said. The most memorable was a divorce mediation and the wife announced she was a witch, whereupon she went around the table putting a curse on everyone. When she got around to me, I reminded her I would have to interpret the curse and it would fall back on her. I was spared. Interpreters need to understand the lawyer’s obligations to their client. Lawyers are trained to evaluate their client’s personality so they can best represent them. Lawyers can assess their client’s responsiveness patterns during deposition and trial preparation. 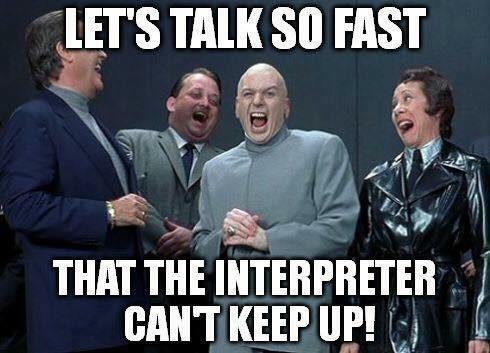 But we interpreters need to be prepared for outbursts from the start of our career. We also need to be comfortable knowing that in such an eruption that we can and should reference the event as an impediment to our performance. We can ask for a break. And we can address the issue with the attorney. We can protect ourselves and our good work. 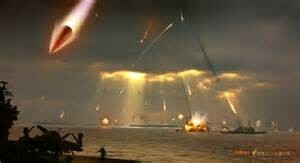 A missile attack is disorder, loud disruption and chaos. Depositions and even court trials can take on that air before being brought under control. For the interpreter and the court reporter it is very difficult to perform our work under those conditions. And mistakes are understandable. For the interpreter, these are impediments to your performance that you cannot overcome. But you can do damage control as soon as the disruption begins. Certified (“Licensed” in Texas) court interpreters are bound to a Code of Professional Responsibility that includes an instruction to report any impediments to our performance. (i) CANON 7: ASSESSING AND REPORTING IMPEDIMENTS TO PERFORMANCE. Interpreters shall assess at all times their ability to deliver their services. When interpreters have any reservation about their ability to satisfy an assignment competently, they shall immediately convey that reservation to the judge. I have been interrupted while interpreting by jackhammers breaking up a parking lot next door, that was so loud I could not hear the witness. Also I’ve experienced the witness yelling at the attorney while the attorney continued asking the question and while the other attorney was yelling at his witness and the court reporter was yelling at all of them to stop talking over each other. I recall several more incidents when the witness has erupted over an aggressive question, behaving physically or starting a screaming rant. In those situations you could easily misinterpret so you have to retain control of your actions including possibly to stop interpreting. Once everyone calms down the interpreter has to report , on the record, to the attorneys or to the judge the point in the testimony at which you were no longer able to interpret and specify the cause: the specific impediment. Then they decide how to rectify the miscommunication. More often than not the witness goes silent and I find I am interpreting the attorneys argument and I indicate by gesture the respective attorney while they talk over each other. The court reporter is often the one who stops the disruption at a deposition, at trial it is the Judge. Sometimes the location itself is a minefield of impediments. I’ve interpreted in industrial facilities with loud machinery operating around me. I’ve interpreted statements on the deck of container ships in the middle of the Houston Ship Channel. Colleagues report interpreting assignments where they are at the back of a City Council room filled with protesters. Attorneys, investigators and insurance adjusters have to go where they can find the answers to the questions in order to best represent their client. If that means talking to a Limited English speaker at their workplace or wherever they can be found then that’s where you will go. A professional interpreter understands this but also knows to assess the location for impediments at the moment of the assignment. Ask where it is specfically and look up the address. If it is a questionable location, express your concerns to the person you will be interpreting for and ask for a change of venue. Tell them that you will have to stop the proceeding if you are not able to interpret accurately. Then don’t be afraid to turn down the assignment. Know the difference between milder forms of chaos that you can overcome and still perform your job according to your oath and impediments that will not allow you to interpret accurately. And Now for the Musical Portion of my Closing Argument. As court interpreters, we have to be ready for all kinds of terminology. Speaking styles too. A register that rises to the level of Shakespearean sonnets , or drops to a Mafioso style threat. We have to render it duplicating the tone, style and meaning. So, we study and prepare. I enjoy sitting in on trials and study how the lawyers speak especially during opening and closing. But none of that prepared me for the lawyer who sang during his closing argument. I was interpreting the trial for the defendant. It was a car accident and my client was the insurance company. It was all so standard that I don’t remember the details or most of the testimony. The opposing counsel was well prepared and consistently …normal sounding during litigation. Nothing stood out during voir dire or cross or even the deliberations over the charge to the jury. A bit of drama during that would have tipped me off. I wasn’t even distracted by the Plaintiff’s father who wore in a full Marine dress uniform throughout the trial. He sat behind his daughter, a high school senior. I was interpreting the full trial for the defendant, a middle aged man from Honduras. He was calm, polite and…normal. I remember being aware that since we were at closing arguments, all that was left, time wise, was jury deliberations and then I’d be released. Frankly I was probably thinking about dinner plans. For closing, both lawyers restated the high points of the case that reflected well on their client. And the lawyer for the plaintiff, as usual, proceeded to follow the defense with a second closing. In this one he reminded the jury of the testimony presented showing how his client was very close to her father and that her father had been very worried about her ever since this accident. And that her father was an honorable member of the military. He caught me off guard for a second. I may have shown surprise on my face. But I got right to work interpreting ….not singing…. the lyrics. I avoided eye contact with the defendant and I focused on the wood grain of the table while interpreting simultaneously. But out of the corner of my eye I caught my client’s jaw drop. There was no reaction from the Judge and the jury didn’t applaud. I have been surprised by literary testimony that included poetry and recitations from religious texts. I guess I can add interpretation of live singing to my own repertoire, so to speak. I’m just glad he didn’t choose Achy Breaky Heart. Listening to anyone speaking fast in a sworn proceeding is more of an event of animated questioning for most participants at the trial or deposition. Unless you are the interpreter or the court reporter. Court interpreters are sworn to transmit the question and the response word for word, accurately and completely. So we develop listening, note taking and responsiveness analysis skills. Here are a few tips on identifying and rendering the complete and identical sounding statement of the warp speed speaker in compliance with your oath. The attorney and the witness have a higher probability to speak super quickly during a Q&A process. In trial, Judges pick up speed while reading out loud the written instructions or the charge to the jury. Almost everyone speaks faster than normal when reading written evidence into the record. TIP: Ask for a copy of the document to sight translate simultaneously, in trial if there is no screen displaying the document or during a deposition . The attorney will respond quickly to evidence mentioned by a witness that is uniquely positive or negative impact on their case. If positive, they will want the witness to stay on that topic so they will quickly add related questions. If negative, they will want the witness to go no further on that topic and they will change the topic altogether. In both situations they will accentuate the words in tone and volume that pertain to their chosen emphasized topic. TIP: In your taking, jot down the accentuated words, since they will possibly be repeated by the questioning attorney for whom that is a valuable topic. And if one side wants the subject matter changed, the opposing counsel may zero in on that subject during cross. Witnesses launch into hurried responses when triggered by something they feel strongly about. Their attorney may want that emotion displayed for the jury or on the deposition record, so we interpreters need to perfect our skills as much as possible before resorting to asking for intervention from the judge (or the questioning attorney (deposition). Some triggers are obvious in the pointed, aggressive wording of the question, others are unknown to the interpreter. TIP: We ignore the impact of the question or the response and focus on the content. An animated emotional response has peaks of loudness, words that are run together, repeated points and sometimes stammering if the witness is flustered. We are supposed to render the same tone and style of the speaker in our interpretation. TIP: Take notes while the witness responds to allow the witness to respond completely without interruption. Speed up your note taking with symbols and abbreviations. TIP: Separate the words that were run together when spoken or you won’t be able to read your own notes. But encapsulate from end to end them with an underlining arrow or brackets to remind you to render them in a run together fashion. Have an evacuation plan. Know your limits by shadowing with a recorded lecture or television audio. Be prepared to notify the Judge, on the record and in the third person, that the witness is speaking too fast and is impeding your ability to render an accurate interpretation. Normally the Judge will advise the witness to slow down. Frankly, this instruction rarely sticks. If necessary, tell the Judge that you respectfully request that the witness be asked to break up their response into 3 or four sentences at a time. TIP : Remember if you or the attorney interrupts the witness, that you have to interpret every word spoken for the record, even if it is an incomplete sentence.